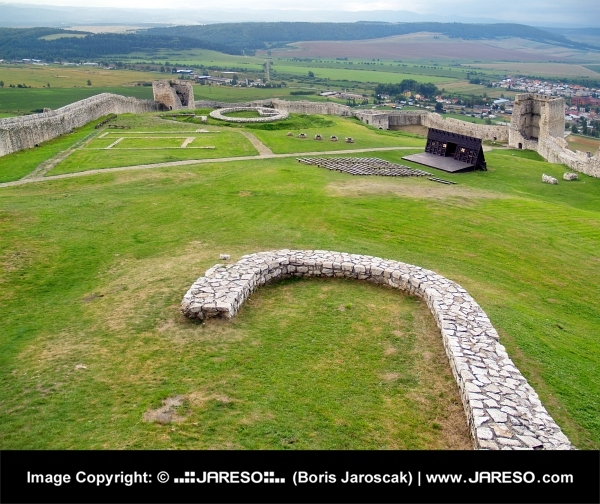 View of courtyard and fortification walls of famous Spissky Castle (Spissky hrad) ruin. 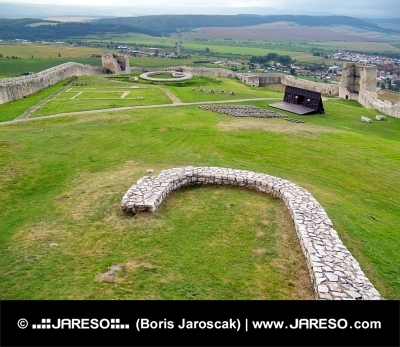 Spissky Castle is famous castle ruin in Eastern Slovakia. It is situated above the Spisske Podhradie town and the village of Zehra, in the Spis region. This castle is one of the biggest European castles by area (41 426 m2) and it is included in the UNESCO World Heritage List.